As much as we might like to deny it... 2015 is fast coming to an end. I feel like everyone is very quick to slag off the year and talk about all the bad things that happened, instead of focusing on good things. I'm going to pop some of my highlights of 2015 here to remind myself that it actually wasn't the worst year of my life. 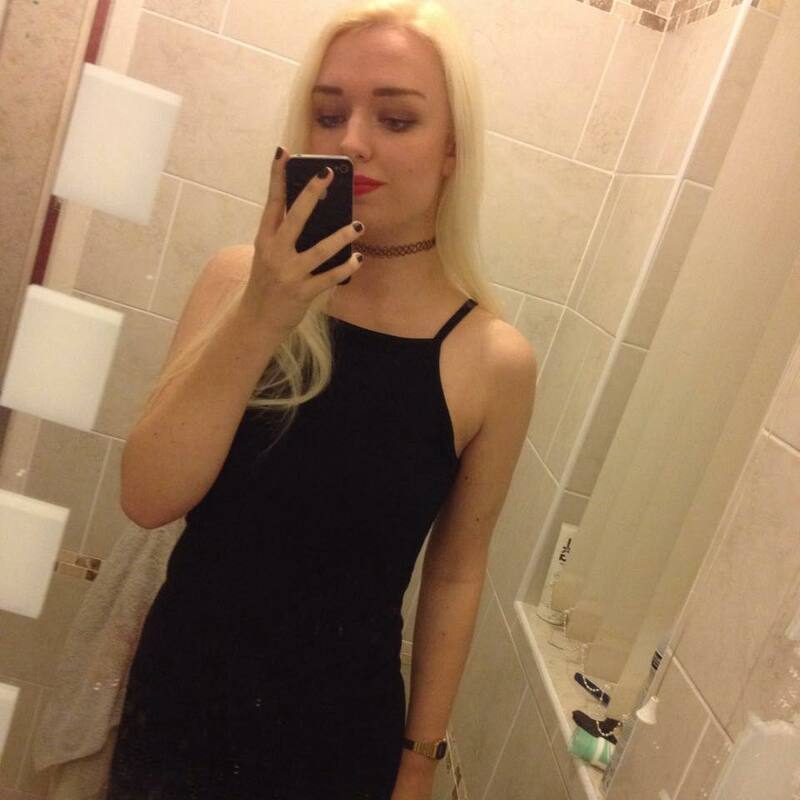 2015 started off with some great fun at my friend's NYE party - lots of drinks were consumed, drunken existential crises happened and I was left with a nasty hangover the next day. But that's how I always like to spend New Year's and I hope this year is no different! I also went to London with my flatmates and we went on a London "Ghost Walk" - we were freezing, on the brink of tears and in a foul mood but it is probably one of the most entertaining things we did all year! 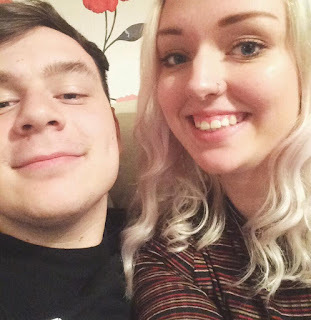 I turned 20 and spent my birthday with my lovely boyfriend who spoilt me rotten, with his birthday the week after and we went for a nice meal with his family, which was the first time I'd met a lot of them and was really scary actually! Freezing February included my first Reclaim the Night march organised by my university, aiming to protest against sexual violence and harassment and making women feel safe on the streets again. 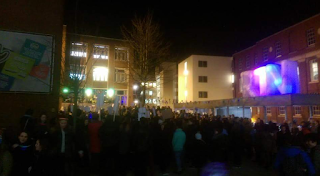 It was so empowering to be amongst men and women who all felt the same way, and we all marched through Manchester city centre and the student areas chanting and shouting that "yes means yes and no means no." I can't wait for next year's and it's going to be bigger and better! Valentine's day saw me spoilt (again) but was exciting to spend my first Valentine's with Josh. 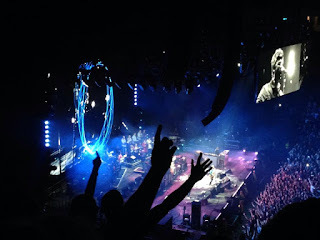 In March I got to see one of my favourite artists live - Noel Gallagher's High Flying Birds at Manchester Arena. I can't describe how good this gig was! I'm buzzing just thinking about it again!! I love arena gigs sometimes just to see the sheer volume of people there for the same thing you are. 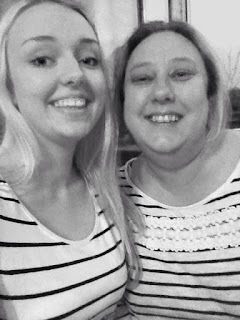 March is Mother's Day in the UK so I came home from uni and spent some time with my mum (in matching tops)! 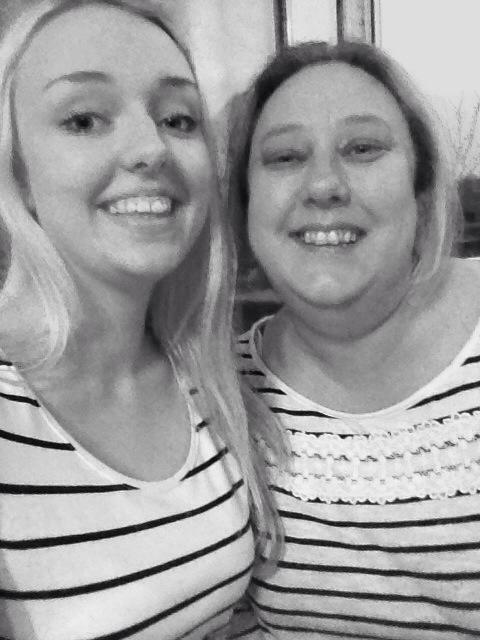 I can't remember exactly what we did but it was nice to take some time away from uni and see my family. 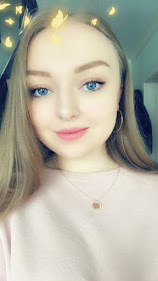 I sent her a cute personalised Moonpig card that made her cry! 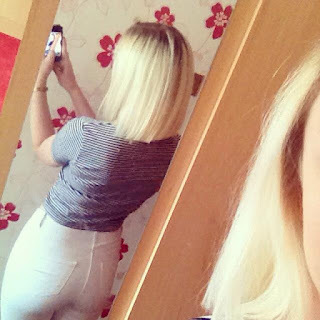 April saw lots of changes - for one, I finally cut all my hair off! It might not sound like anything drastic but when you've had long hair your whole life, even getting just an inch chopped off is like being scalped. 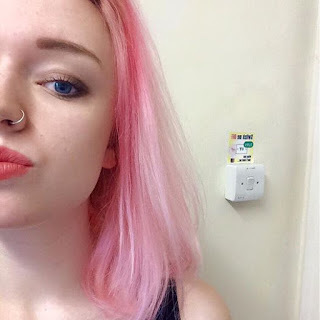 But I was sick of my hair and wanted a change - I still don't regret it! However, I am embarrassed to admit it hasn't been cut again since then... Oops. 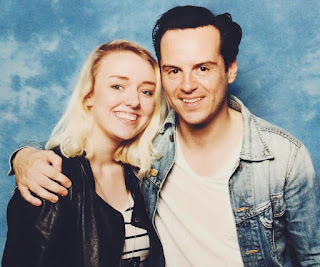 We returned to London yet again to attend the nerd-fest that was the Sherlocked Convention, dedicated to BBC's Sherlock. 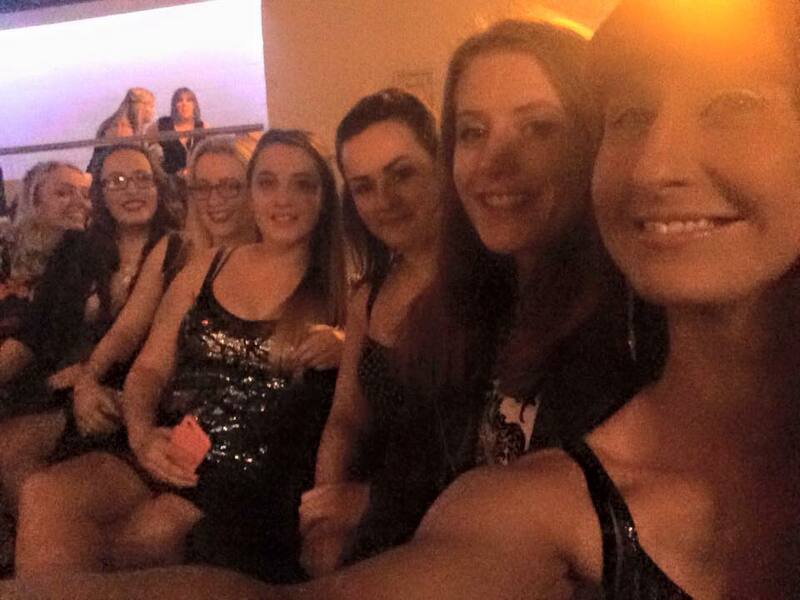 This was by far my most favourite weekend of 2015 and one I'll remember forever! We got to meet pretty much all the cast members and have photos together and had a few chats and sat in on some panels. It was pretty much the coolest/nerdiest thing I've done in my life. And I'm glad I got to spend it with the awesome girls that I have the pleasure of living with! 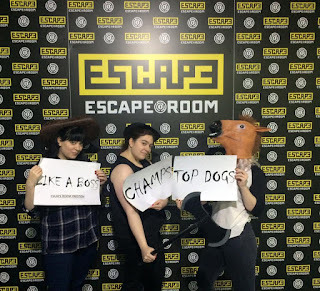 I also started my new job at Escape Room Manchester in April, where I'm currently still working full-time. The job is so high-energy and buckets of fun; I can't recommend the Escape Room experience enough to anyone! I really must find the time to do a blog post about it because I think it's pure genius entertainment for families, friends and work colleagues alike. This has been my favourite job and is completely different to just standing behind a till all day. I struck lucky working here! May was literally just chock full of my first year exams and so was a pretty boring, stressful month! On the upside I also did my very last shift at Debenhams after working my notice period, and definitely moved on to bigger and better things! 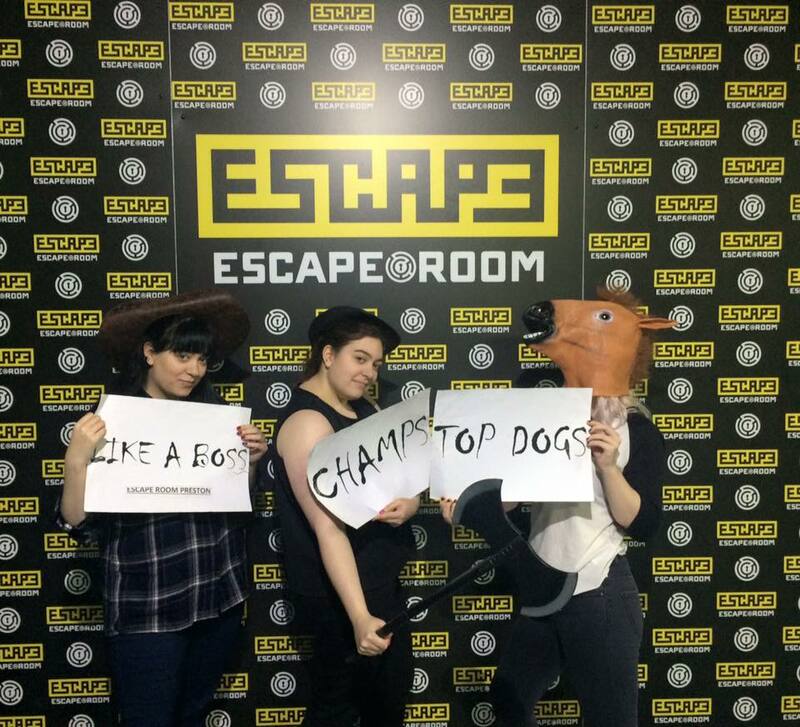 Although I love Escape Room, I'd be lying if I said I didn't miss my lingerie team even now. We also celebrated my flatmates' niece's Christening which was loads of fun! She's the cutest little thing you've ever seen. 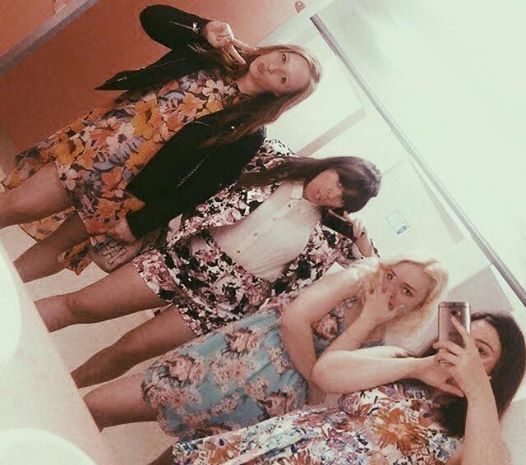 Somehow we all managed to be matching in florals lol. I dyed my hair pink successfully for the first time EVER after about 50 times trying! I miss thissss!! We moved into our new flat in June which was earlier than expected! This was soooo exciting as I'd previously lived in uni accommodation so this felt like I really had truly moved out. It's been a great year and we are looking for a new house for next year! I'M NEVER GOING HOME! Would you believe me if I told you we went to London yet again? Well, we did! We might as well just save up for a flat there, it'd probably be cheaper than all these hotels we stay in... Anyway, we just wanted a bit of time away and we visited the very interesting Hunterian Museum. Highly recommend! I feel like a major event this month was me eventually finishing Lost... I am still heartbroken and angry and frustrated and devastated and GOD DAMNIT DON'T TALK TO ME. DON'T LOOK AT ME. Taking a break from work, we went to Wales for the weekend to stay in my friend's caravan. 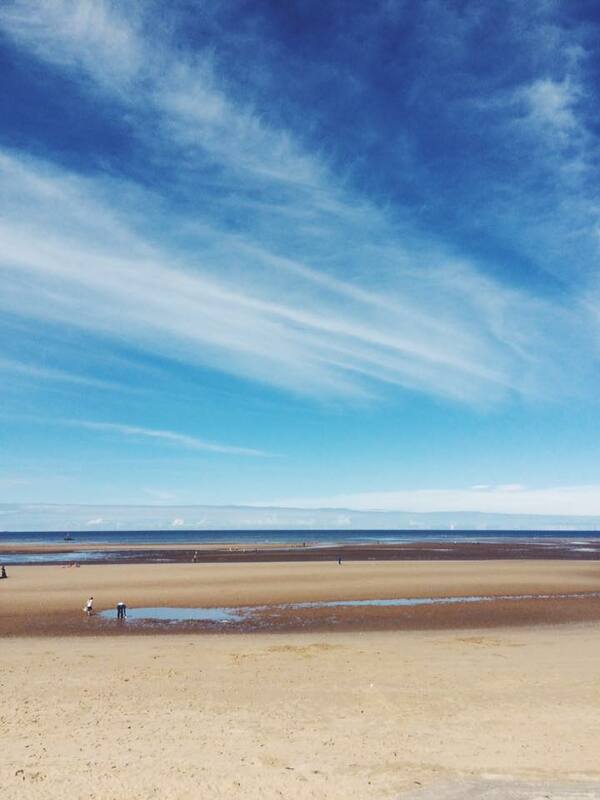 It was really nice to be by the coast; I'm always happiest with some sea air in my lungs! It was still pretty chilly despite it being August but good fun anyway. We spent most of the time (and our money) at the arcade playing bingo. I got a bit too addicted to that and think I ended up with a mild gambling problem. I pretty much just lived at the Liquor Store in September... What was I even doing? 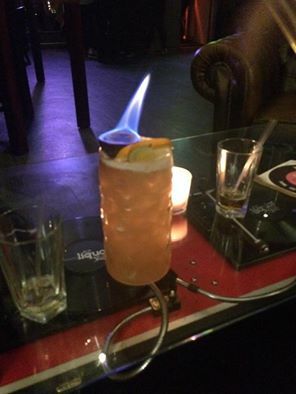 Just drinking death-inducing drinks like the one pictured above. Yes it is literally on fire. That night was so awful. I was sick so much. ALCOHOL WHY U DO DIS. I love you. Let's never fight again. In October I started my 2nd year of uni and pretty much spent the month in bed... Let's not dwell on this and skip forward to November lol. 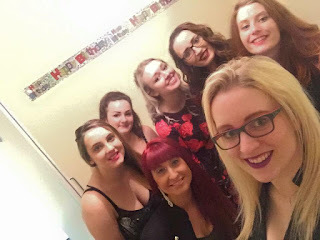 Celebrated my friend's 21st birthday in Manchester with a house party and some old friends, then "Dreamboys" at Tiger Tiger the next night... Can't say that was my cup of tea personally, but was a fun weekend nonetheless! I also had the absolute pleasure of seeing one of my favourite artists for the 3rd time, Marina & The Diamonds! It was her first time back in Manchester in a good few years, and probably her last as she is starting a new venture. 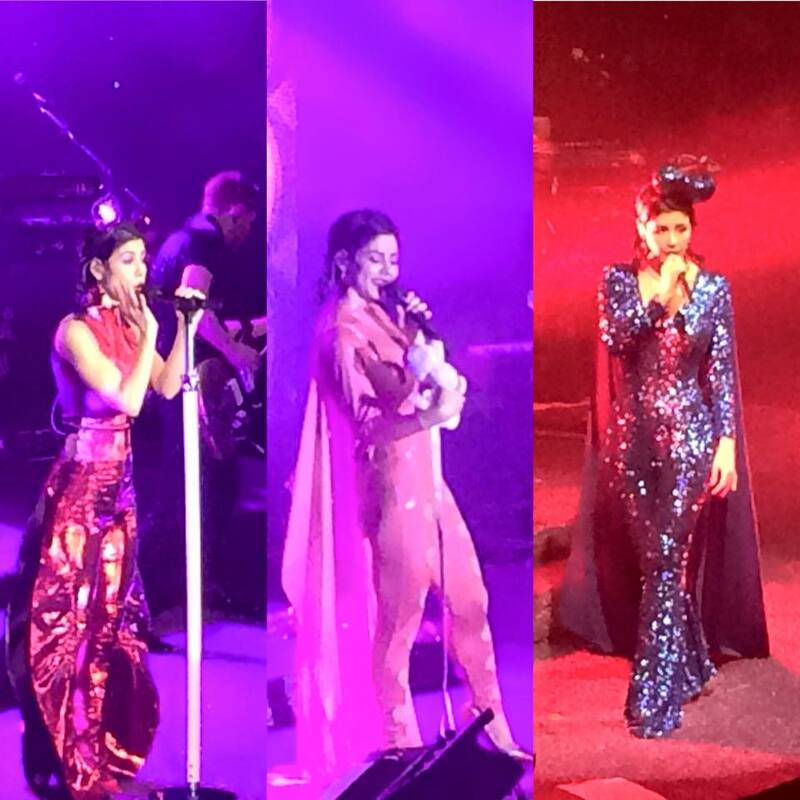 The Froot tour was the best show I've seen of Marina's and was really emotional for me, as she's been a favourite for me through a lot of life events. Probably one of the highlights of my year! 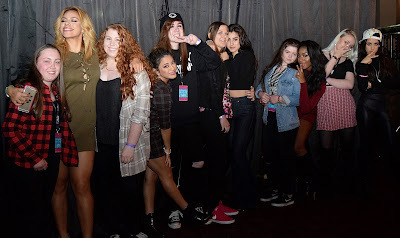 ALSO I got to see and meet my absolute favourites Fifth Harmony!!!!! I still refuse to believe this day was real! All the girls were so sweet and I got to have my koala hug with Camila! Worth every penny! November was a pretty damn good month! 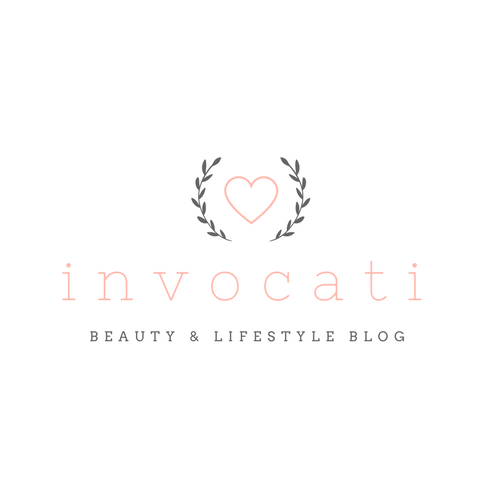 December was the month I made the decision to withdraw from university. This definitely makes my year's best bits as I have been really unhappy at uni, so making this scary decision has taken a bit of a weight off my shoulders. I'm looking forward to working full time at Escape Room and hopefully starting driving lessons again! 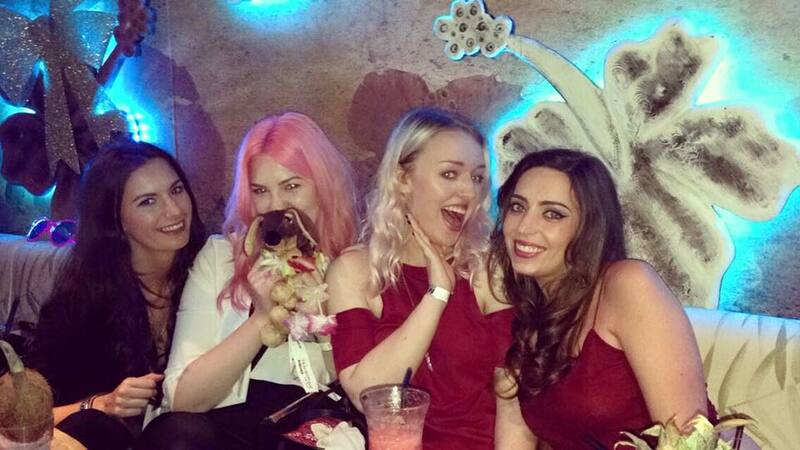 Then we had a lovely Christmas party at Lola Lo on Deansgate Locks for our work do, which was so nice to take some time out of work to spend time together. LOTS of drinks were consumed and fun had! I loooove my work colleagues to death and I have a lot to thank them for this year! Josh came round to have Christmas dinner with me and my family which was lovely, and we exchanged gifts and had a bit of family fun. Christmas isn't all it used to be when we were little, but it was (mostly) a relaxing day. Shame I had to go back to the flat so quickly as I was working again after Boxing Day, but I enjoyed some home-time regardless. New Year's Eve was also spent with Josh & some friends, so my year came to a perfect end getting to spend it together! All in all, 2015 was a strange year and I have mixed reviews. I'm not sad to see it go, but feeling pretty positive about the year ahead and all the opportunities I have to progress in 2016.